If, you've been thinking of making some changes and adding a bit of glamour and luxury to your home, Wood Marc could be the place you were looking for. Located at Gulshan 2, the shop displays a variety of unique furniture, all of which follow mainly the Spanish, Georgian, and French designs. Wood Marc has blended themselves well with the contemporary style. The shop is committed to hold on to a selected level of customers as their products are indeed very sophisticated and a little on the higher side. They have managed to come up with their very own collection of furniture made from Teak. They have also welcomed the concept of custom-made furniture. The group of designers work efficiently in bringing designs to life. The fabrics they use are exclusively imported. 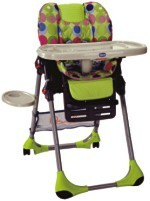 Starting from the basics that include tables and chairs the price ranges between Tk 12,000-20,000. The bedroom package comes with a tag that ranges between Tk. 150,000-170,000. The living room furniture expressing grandeur will cost around the range of Tk. 65,000-75,000. If you want some good furniture for your study room, then you can easily have it at Tk. 50,000. The wardrobes are available at Tk. 35,000 and above. For people who prefer leather-cushioned furniture the cost is about Tk. 150,000-200,000. The dining tables come in various price ranges and it may be around Tk. 35,000 or higher. Office furniture prices usually depend upon the size of the space. Contact: Wood Marc. House # CWN (A) 15/1, Road # 35, Gulshan-2, Dhaka (behind Labaid Hospital in Gulshan-2). Children are a joy, no doubt. We love to love them, we love to cuddle and snuggle with them, we love their warm sweet smells and we love to spoil these little angels. But when it comes to shopping for them, we might be left just a little bit befuddled because their likes and dislikes seem to be changing with the seasons. True, it's really hard these days to keep track of the kiddy trends, what with new Superman and Spiderman and Narnia movies coming out all the time. But then, you can't even go to a birthday party or akika empty handed, can you? If you are wondering where to head the next time you need to buy a present for a birthday party, baby shower or simply when you have the mood to splurge on your little one, think no further than Gulshan 1 supermarket! The first floor of this building is sprawled with several tiny shops exclusively selling baby clothes and toys guaranteed to win you some cosy cuddles and sloppy kisses whenever you hand any one of these to some youngster! The pitter-patter of little feet is a joyful sound to any new parents and surely calls for a grand celebration, with a shower of gifts for the newly arrived. Johnson and Johnson's is a trusted name when it comes to baby care products, so a Johnson's baby kit would be a much-appreciated gift for any new parents. These baby gift sets are widely available in the baby product shops in Gulshan 1. These come in various sizes and include items such as baby powder, baby oil, baby shampoo, baby lotion, baby wipes and more. Prices range from Tk 350-650. Beautiful baby clothes are also available in neatly packed gift baskets, and can cost anything from Tk 600-1250, depending on the number of items in the gift set. For children between 1 and 3 years of age, cute side pillows in various shapes, sizes and colours can make pretty presents for the little ones. These come in soothing colours and are very comfortable and cuddly. Some of these have cartoon motifs on them, which will definitely become a great favourite for any little one. Prices range from Tk 450-1500, depending on the size and quality of fabric. As the little people reach school going age, school satchels, tiffin boxes and water flasks become essential. Gone are the days when these items only served functional purposes; they have now become fashion statements for the school goers. Little girls will love the Barbie and Fairytopia schoolbags that are found in these shops. Boys will adore the capacious satchels with pictures of Superman and Spiderman on them. Tiffin boxes and water flasks are not lagging behind, and are available in bright eye-catching colours with cartoons drawn on them. The school bags can range between Tk 350-1200, while the water flasks and tiffin boxes can be bought within Tk 350. Scooties are the recent craze among little boys who love to speed around the house and neighbourhood lane, imitating cool teenagers they have seen in Hollywood movies. So if you have a son or favourite nephew within the age of 5 to 10, you can surprise him with a Scooty on his next birthday! These little Scooties are easily adjustable according to height so the ever-growing children aren't likely to outgrow these very soon. Prices start from Tk 1500 and can go up to Tk 4000. Headbands with attached bunny ears, fairy wings, butterfly wings and Minnie mouse bows can make any little party girl look as cute as a button. Also available here are attachable fairy wings which, when attached to a beautiful white or pink dress, can transform any girl into a beautiful fairy! A pair of fairy wings won't cost more than Tk 300-450. So, the next time you throw a party for your little daughter, remember to get a pair of these beautiful silver fairy wings and watch your daughter bloom into a gorgeous fairy in front of your very own eyes! To know more about the countless items available in Gulshan 1, you will have to step into the supermarket and see for yourself the wide variety of beautiful baby clothes and toys. So, the next time you have the mood to buy a cute gift for your precious bundle of joy, or when you need to buy a present for a little one's birthday, don't forget to stop by here! Mother’s Day is on May 11 this day. Don’t forget to tell that special woman you care! It is believed that in a typicaL conversation, thirty-eight percent of the communication takes place through what we hear and fifty-five percent through non-verbal messages. A mere seven percent takes place via actual words. Taking this into account, its obvious how important non-verbal communication is, whether we are in a social gathering or facing an interview or in our office. One important part of it is the handshake. A proper handshake reflects positive attitude; it shows confidence. It is a major aspect of building positive first impressions. 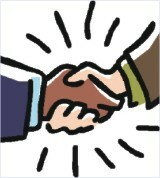 A handshake can to some extent even decide the success and failure of an interview or a negotiation. A weak handshake and a 'wet' one are associated with nervousness, weakness and lack of confidence, while a firm one reflects just the opposite. Then there are people who take your hand and for some reason choose to crush it to the point of destruction. And sure, you've met some guys who start shaking your hand and keeps shaking and shaking, only to make you wonder when they'll let you go free. Handshakes should be firm and sturdy but it must not be uncomfortable. It should last just a few seconds with even fewer 'shakes'. But that's not all- while you shake hands, make sure you are making eye contact and you have a bright smile on your face. Above all, we should be confident and stable from inside otherwise if we merely try to portray ourselves as confident, then we are sure to make the whole situation awkward. If you are basically a confident person, eventually your body language, with the help of a little grooming and experience, will take care of itself.